Several friends prefer to add 0x prefix on all numbers. Do you think it a good suggestion? This is what we done on old OllyDbg. I am looking for tutorials on how to unpack UPX using x64dbg. It would the same way to unpack as on olly or anything else. 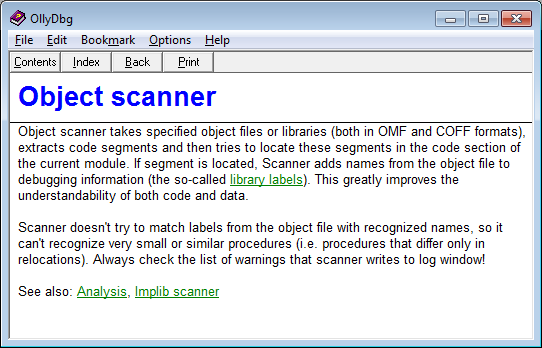 'esp trick' I usually just scroll down and breakpoint on oep jmp though..
Is x64dbg have feature (plugin maybe) like olly 1.10 - Analyse -> Scan object files. Hi everyone, back to the RE world for the 1st time since 2014 and time to update my tools. Since this is the new debugger to use, is there any plugin repo to use ? I'm user of olly but as a reverser I'm curious about this debugger that certainly is very good, there are some plugin that do the same of breakpoint manager on olly? In the post above I didn't find nothing similar. This debugger is getting better and better. Absolutely amazing work by exodia. Mr.exodia and the contributors have made great job at x64dbg. Highfive guys!!! !